Genuine replacement part to fit select models of Dyson vacuum cleaners. Colours may vary. 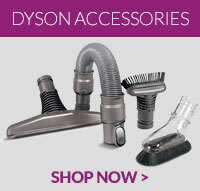 ..
Genuine filter to fit Dyson DC18 vacuum cleaners ..
A genuine part, this Dyson dust bin assembly is designed to fit with selected DC18 vacuum cleaner mo..